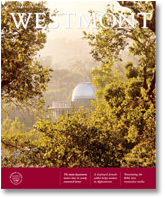 Enrollment at Westmont grew steadily in the 1950s, creating crowded conditions on campus. Building Page Hall in 1959 eased the housing situation, but only temporarily. By 1960, college officials started planning for another residence hall. Too many students lived off campus in Emerson Hall on Ashley Road or at the former Bliss estate on Hot Springs Road. Facilities on campus provided less-than-ideal quarters: Quonset huts and the unrefurbished Deane School buildings called the Cold Spring Units. Mrs. Kerr reminded trustees they had promised students a new gymnasium,but the board decided the residence hall should come first. After some discussion, they chose to finance the facility through a $687,000 government bond. The two-story structure featured a 40-foot open interior court and concrete-slab floors with concrete block walls. Organized in a series of suites, each with four rooms and a bathroom, the hall included an infirmary, a lounge on each floor, a kitchen and a recreation room. The hall could accommodate 148 students in rooms designed for two. Today, all the rooms are triples. Westmont officials decided to do something new with the main lounge: open it to both men and women on the weekends. At the height of the Cold War, they also set aside a suite for National Civil Defense use in case of a national emergency. Construction began June 11,1962,and the college hoped to open the hall by Feb.1, 1963, in time for the spring semester. The task involved more than just the facility: workers had to build a bridge to the observatory and a footpath up to the dining commons and create two parking lots. A series of delays pushed the move-in date back to March 11, and the college dedicated the hall June 8, 1963. Mark Hatfield, governor of Oregon, spoke at graduation earlier that day and prayed at the dedication. Lyle Hillegas, who later became Westmont’s fifth president, moved into the new Van Kampen as assistant head resident. 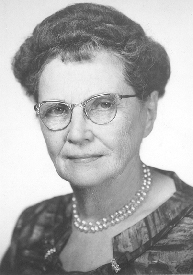 When former professors John Page and Anna Dennis died in 1962, Mrs. Kerr suggested that the men’s hall be named for Page and the women’s for Dennis. But students were already calling the women’s dorm Page Hall as the lounge there had been dedicated to the former Bible professor. The college made that name official, renamed the large lounge for Anna Dennis and dedicated the new residence hall to Angela Van Kampen. 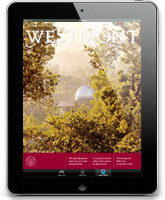 Westmont learned one lesson during construction. President Roger Voskuyl expressed his disappointment at the loss of so many trees and urged the college to avoid this mistake in the future. When building subsequent residence halls, officials made sure to locate them amidst the trees and to avoid clearing the sites.